MetroPCS is one of the smaller, regional carriers in the U.S., but they've slowly been adding to their arsenal of smartphones. The Esteem is the latest addition to their 4G line-up. While their 4G LTE network isn't the most robust in the U.S., MetroPCS is not letting that stop them from releasing better and more powerful smartphones aimed at the entry-level market. Coupled with a cheaper rate plan, MetroPCS is hoping to capture a possibly untapped market. Is the Esteem worthy enough to raise the bar at MetroPCS? The LG Esteem comes in a familiar candy bar design, but it's quite blocky and thick. The front is dominated by an impressive 4.3 inch capacitive touch-screen display, which is also protected by Gorilla Glass. The display itself is vibrant and bright, which is surprising for an entry-level smartphone. The Gorilla Glass is also an interesting, yet positive inclusion, as it's extremely hard to scratch the display. A few hours in a pocket alongside keys only managed to leave marks on the body, but not on the display. Above the display is a small 1.3 megapixel front facing camera. Below this large display are the four familiar Android shortcuts for menu, home, back and search. Along the right edge resides a micro HDMI adapter port and a volume rocker, while the left edge has a covered microUSB port. The top edge contains the power / lock button and 3.5 mm headphone jack. 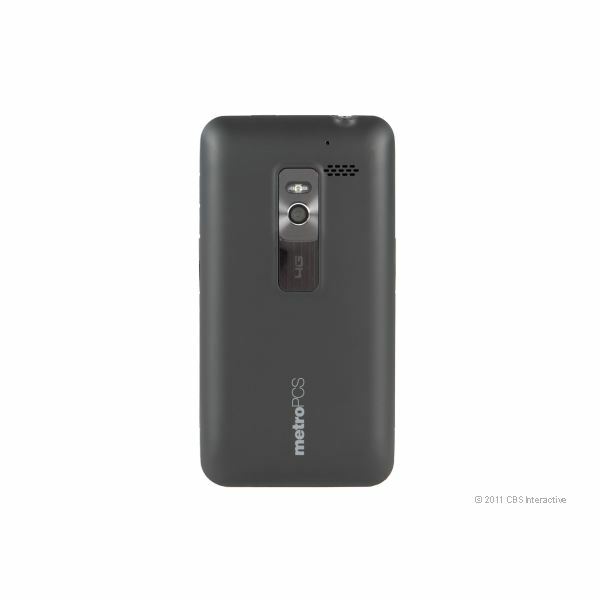 Rounding out the back is the 5 megapixel camera with flash. Overall a very 'by the book' design, and it looks rather rugged due to the thickness, but ultimately, the large screen is pretty good for an entry-level smartphone. 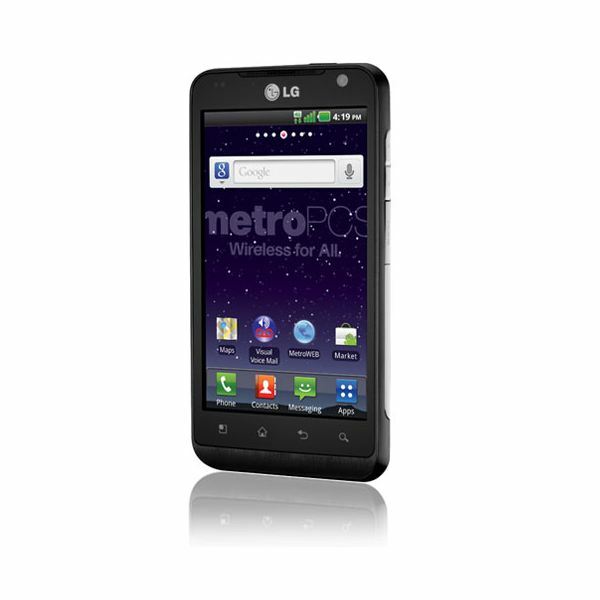 The Esteem is powered by a 1 GHz Qualcomm Snapdragon processor, which is able to run Android 2.3 fairly smoothly. The higher end Galaxy S from last year is pretty comparable to this smartphone. It's actually quite a refreshing addition to MetroPCS' line-up, and snuggles up alongside the recently released Samsung Indulge. There is a bit of lag occasionally when switching from processor heavy applications but really, it's not that noticeable, especially for an entry-level smartphone. The call quality was not the best, the volume was a bit on the low side, even at max volume. The voices themselves were clear, it was just the volume that seemed low. Outgoing calls were fine, with no major distortion. The data speeds vary depending on location, but the Esteem is a 4G smartphone. MetroPCS doesn't have as robust a network as Verizon when it comes to 4G LTE, so certain areas will not have the faster data speeds available. While the battery size is 1500 mAh, similar to the Galaxy S, it seems the life of the smartphone is much shorter. It barely lasted a day with regular usage, including calls, browsing and messaging. The Esteem comes preloaded with Android 2.3, the latest version of the operating system. LG has also added on the Optimus overlay, which isn't very intrusive. It's a rather subtle addition to Android that gives it a bit of color. It also helps to integrate several different social media options into one general area. The 4.3 inch display is definitely a lot of space to work with and the Esteem can easily be used with one or two hands. There's definitely no claustrophobic feel when using the Esteem and coupled with the fairly fast responsiveness of the screen, it feels like a high end smartphone. Google Maps with turn-by-turn navigation, Google Places and YouTube are all standard on the smartphone. LG has also added a few touch ups, allowing for direct integration with Facebook, Twitter, and MySpace and has added options to link Yahoo and Hotmail accounts easily. The integration features on the Esteem aren't extremely intrusive and are actually pretty helpful in making it the one stop source of personal and professional information. The 5 megapixel camera was decent at taking pictures and they were overall, crisp and colorful. Video could be recorded at 720p HD, which is definitely nice for a more entry-level smartphone. The video was also decent, though slightly jerky, but overall very nice. The front facing 1.3 megapixel camera was surprisingly crisp and clear and could easily compete with the higher end smartphones. Overall the LG Esteem easily ranks in as a 'Good' entry-level smartphone. It's amazing how fast technology is changing in the mobile world, and like the recently released LG Marquee on Sprint, this smartphone would have been considered a high end smartphone in the previous year. The big, vibrant display, the latest version of Android, a front facing camera and a 5 megapixel camera capable of recording decent video would have easily made this a contender against the original Galaxy S series. LG has been on a roll, releasing some very nice and powerful smartphones in the entry-level market and the Esteem easily ranks in as one of the better entry-level smartphones out there. MetroPCS has slowly been adding more smartphones to their 4G line-up and the Esteem is definitely another good addition to the family.